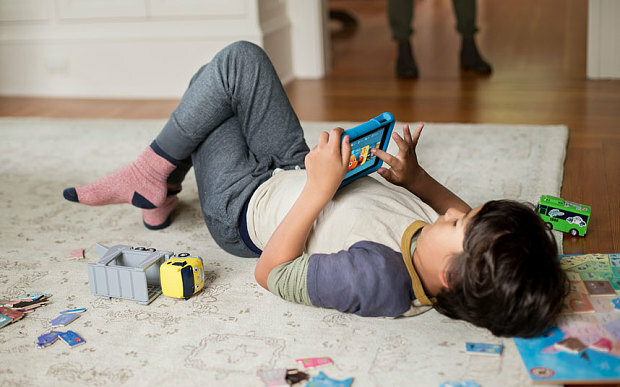 Amazon launch Fire HD Kids Edition tablet in the UK! Definitely one for your birthday list, we think! Amazon have brought out a special version of their Fire HD tablet – just for kids! It’s got a front and rear camera and comes with a year’s free access to the Fire for Kids Unlimited service, which has loads of apps, books and videos for you to enjoy! Mum and dad will be pretty happy too with because the service makes sure there’s no chance of dodgy adverts or spending in any of the apps! You can create your very-own profile so if your annoying brother or sister wants a go then there’s no chance of them getting on your stuff because they can set-up a profile of their own! And your parents can take it out of Fire for Kids mode whenever they like – so if they want to use it for grown-up stuff, then they can! The Fire HD Kids Edition also comes with a snazzy blue case, which protects the tablet and means that you can throw it around with no chance of it getting broken! Well, OK, there’s still a chance it could get broken but if it does there’s a 2-year guarantee where Amazon will replace your broken Fire with a brand-new one – no questions asked! We think of all of that makes it pretty cool – and it’s only £119! Click here to find out more about Fire HD Kids Edition on Amazon!